March was a busy month for new Vegetarian finds to hit my kitchen table, and so here we are in April and I am finally featuring them! I would definitely look out for some of these at the supermarket the next time you are there as they are all fantastic products. I was recently sent two packs of Bannister Farm Potatoes - four large ready baked potatoes for the adults and "Little'uns" small baked potatoes for the children. I remember as a child eating baked potatoes which had been bought pre-cooked and then nuked in the microwave, and they always came out hard and horrible, so when I was asked to sample these pre-baked potatoes, I was a little dubious about whether we would really like them. I needn't have worried. My girls absolutely loved the look of the packaging of the baked potatoes, and eagerly set about deciding what they would eat with them. They also absolutely loved the taste of the potatoes - so much so that they had them two days in a row. Us adults were equally fanatical about the grown-up versions as they were really light and fluffy, and tasted almost the same as if they had been cooking for hours in the oven. The best thing was that they only take six minutes to cook in the microwave and around half an hour in the oven. As a busy family, this meant that they really saved dinner on a couple of occasions. I work mainly evenings, but my kids also do after school activities, so we never really have much time between us all coming in from after school activities and me having to go to work. Being able to pop a cooked potato in the microwave for a couple of minutes, to warm it up, and then to serve with some beans and cheese was a godsend. The kids absolutely loved them and I didn't feel guilty about giving them something quick and unhealthy like pizza as I rushed to work. It also meant that Hubby had something waiting for him when he came in from work. Even better, the Bannister's Farm range comes from potatoes sourced in Britain, mainly in Yorkshire and so it's good to be able to support British Business. 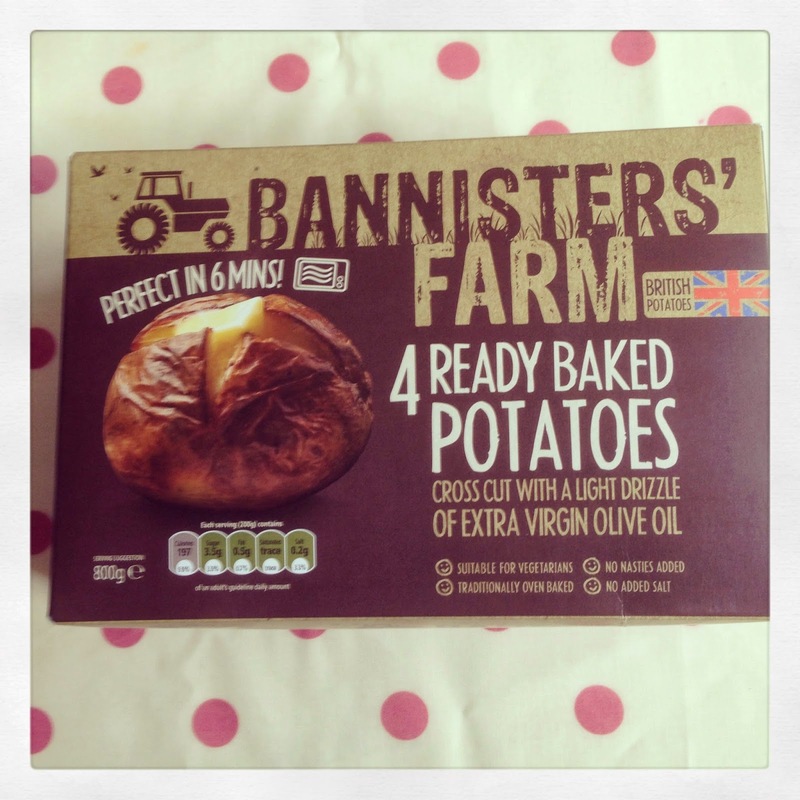 The Bannister's Farm range includes Ready Baked Potatoes, Baked Potato Skins, pots of Potato Crush, Filled Baked Potato Halves and Little'Uns small Baked Potatoes. Bannister's Farm Ready Baked Potatoes and Little'Uns Baked Potatoes are available from most major retailers priced around £2.30 and £2.20 respectively. New Choc Shot Liquid Hot Chocolate is a chocolate lover's dream. It is essentially a chocolate liquid, which is not just for drinking! Unlike other chocolate sauces. Choc Shot is made from 100% natural ingredients and is suitable for Vegetarian and Vegans. 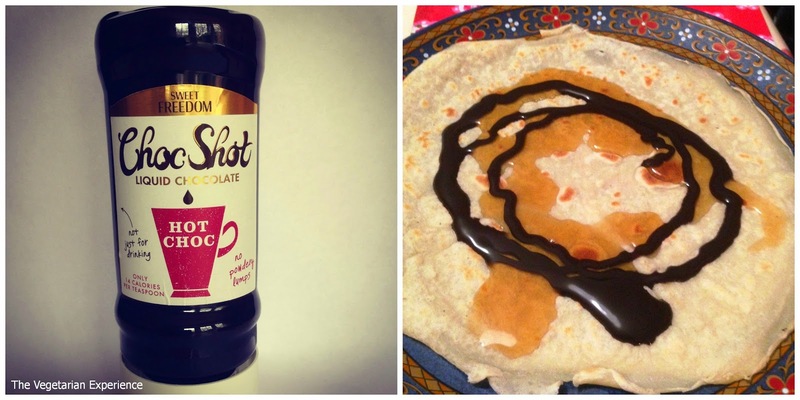 We were sent Choc Shot to sample, and we used it as a topping when we made pancakes. The kids (and us) had lots of fun pouring it all over their pancakes. Since then though, I have found it an absolute godsend as I have used it every time a recipe calls for cocoa powder, or melted chocolate (which quite a few recipes do in our house!). I have used Choc Shot in chocolate muffins, chocolate fridge cakes, milkshakes, poured over yoghurt, as a dip for fruit, and I even added a little of it to a pot of Veggie Chilli I was making to add some richness to the flavour. It is such a hugely versatile ingredient, and a little goes a long way, so it lasts for quite a while. Of course, there is also the classic way to use it - making Hot Chocolate, which has been a big hit with the kids, and it is now so easy and quick to heat some milk and then put a couple of shots of Choc Shot in. Choc Shot is available from most major supermarkets, priced £3.59 for 320ml. Hubby celebrated a big birthday recently and so of course the proceedings required a birthday cake to go along with them. Even though I enjoy cookery, baking is really not one of my strong points. The cakes I make never seem to turn out the way I want them, and then decorating them is even more of a headache. Coincidentally, I was approached by Birthday Cake Toppers to sample some of their products, and so I thought that hubby's birthday was a great opportunity to sample their products. 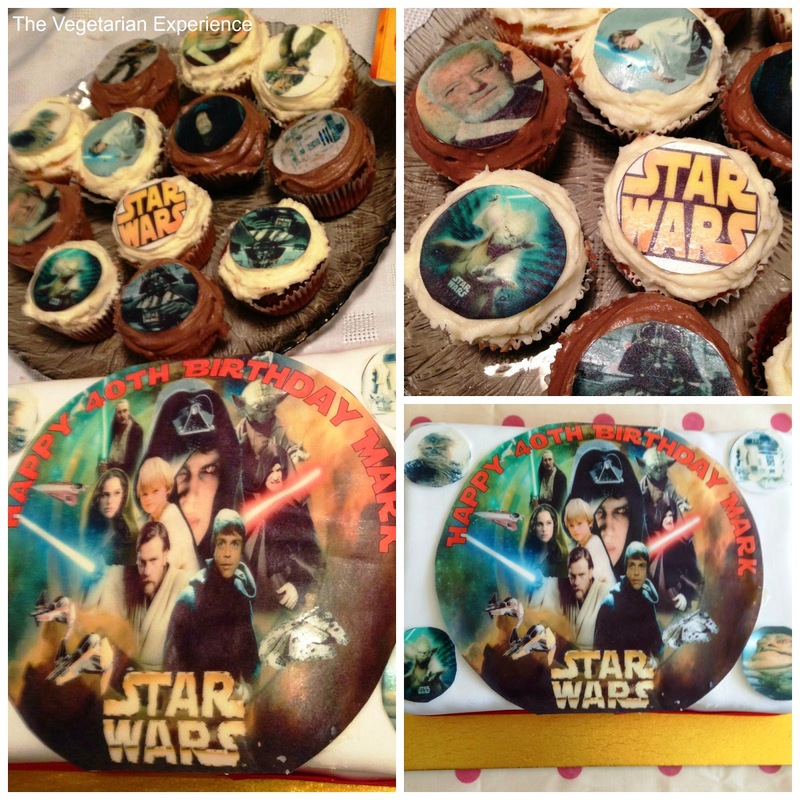 As hubby is a big Star Wars fan, and a big kid at heart, I opted for some Star Wars themed cupcake toppers, and a personalised birthday cake topper for Hubby. Ordering was quick and easy, and the toppers were really reasonable priced at £2.50 for the birthday cake topper, and £1.50 for the cupcake toppers. The cake toppers were really easy to use. I bought a pre-iced birthday cake, and added the cake topper using some butter cream icing. It was really quick and easy. However, the sugar paper is thin, so you do have to use the butter cream sparingly to attach. I would definitely recommend using Birthday Cake Toppers - especially if the special person in your life likes something specific. There is a big range from One Direction to Fireman Sam and everything can be ordered from the website. As a Vegetarian houshold, we eat quite a lot of Nut butters - my kids especially love the toasted banana and peanut butter sandwiches my husband makes them, and we often use peanut butter as a dip for apples for an after school or mid-morning snack. Meridian produce natural and organic varieties of peanut, almond and cashew butters as well as seed butters, and they sent me some to sample. The range includes smooth and crunchy varieties that are 100% nuts. They are deliciously vegetarian, and don't contain any palm oil or unfriendly products. I absolutely loved the cashew butter, as cashew's are one of my favourite nut's, and so any chance to eat them in whatever way is always welcome! I also loved the almond butter as it had a slightly smoother, softer flavour. The kid's eagerly tucked into the peanut butter and really enjoyed it. It was also apparent that there was no added sugar or salt, as the peanut butter tasted a lot more natural than others we have tried. These are a must try for every one who loves nut butter's as the quality of them compared to others on the market is apparent from the first bite. Meridian peanut butters are available in Ocado, Holland and Barratt, independent health stores and online. 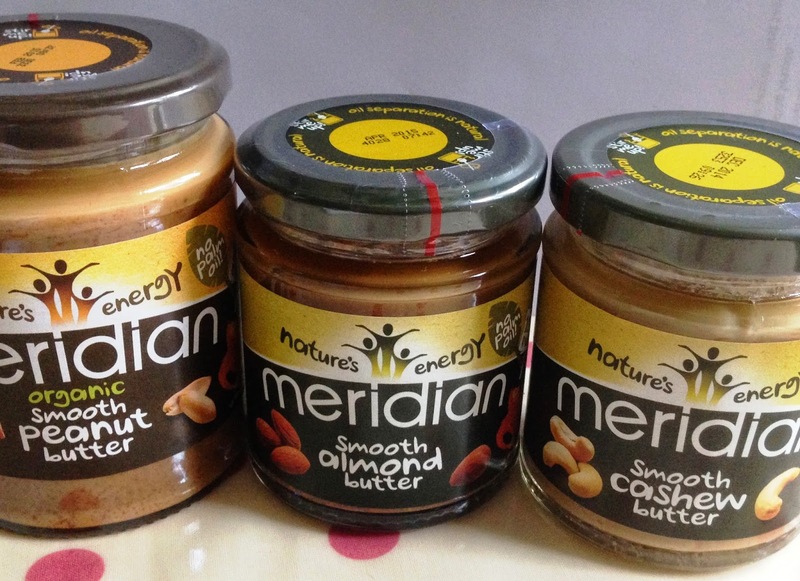 Meridian’s Almond nut butter and its Cashew nut butters are available in these and supermarkets, including Sainsbury’s and Tesco, priced at around £2.99. We are big fans of Rachel's Organic Dairy brand, and also fans of greek yoghurt in general. 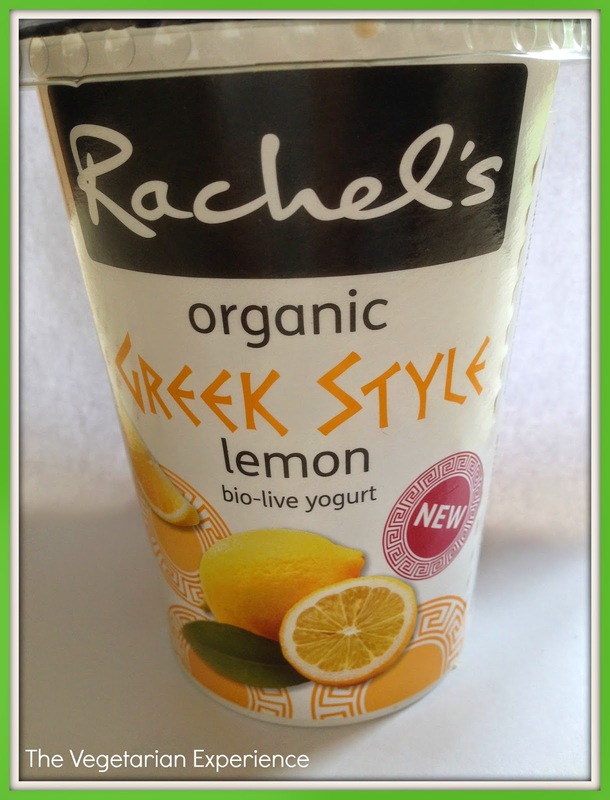 Rachel's Organic have created a new flavour in their range - Greek Style Lemon. New Rachel's Organic Greek Style Lemon Yoghurt is absolutely delicious, and is great on it's own. or served with fruit. It is also great used as a dessert, or perhaps when used to make something like a lemon mousse. I also love this idea for frozen Lemon Yoghurt Drops on the Rachel's Organic website. The Greek Style Lemon yoghurt tasted creamy, lemony, velvety, and was absolutely delicious. I would definitely recommend picking up a pot at the supermarket next time you are there. Disclosure: All products were sent to me in consideration for review. All opinions are my own.